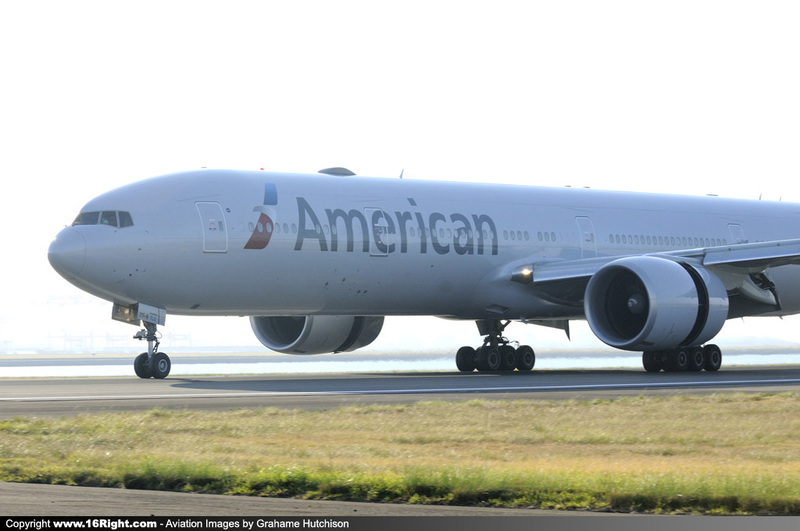 American Airlines is now operating into Australia again, with the touchdown of their inaugural AAL73 service on Sydney's Runway 34L early this morning. 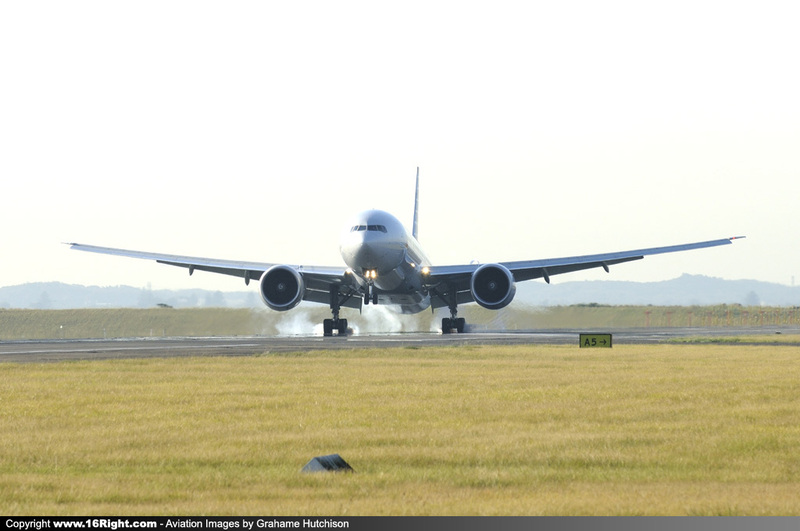 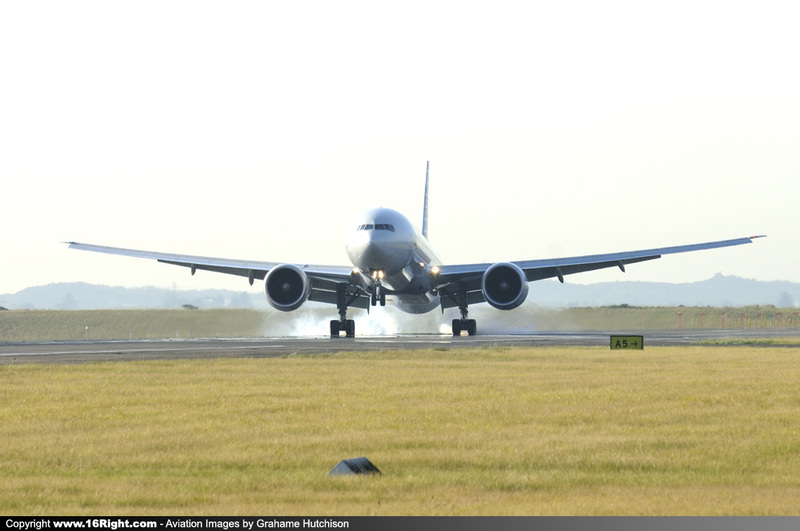 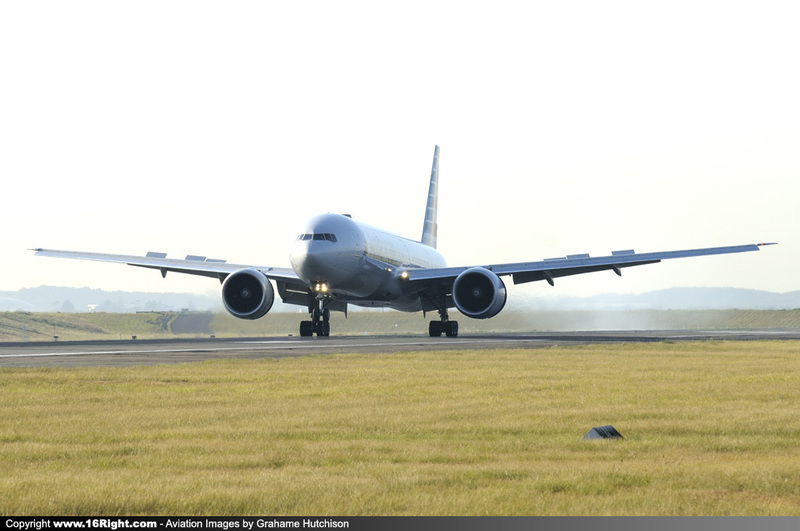 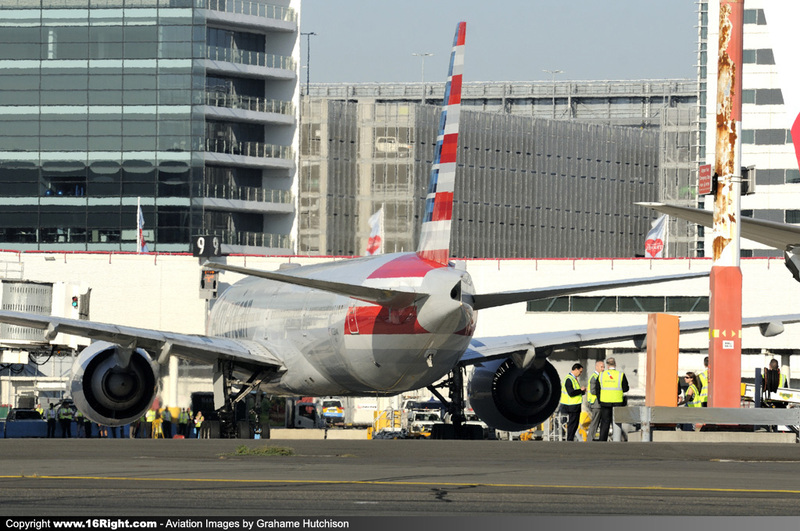 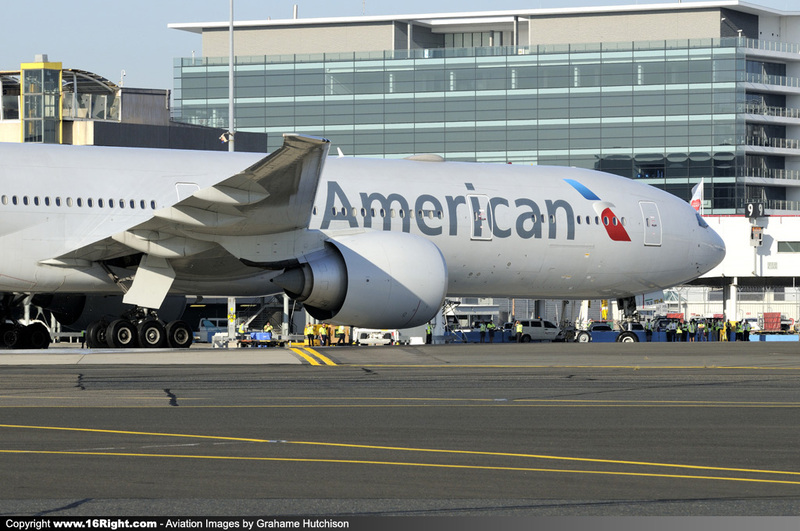 The service was operated by 310 seat Boeing B777-300ER N720AN, and marks AA's return to Sydney after a 23 year absence. 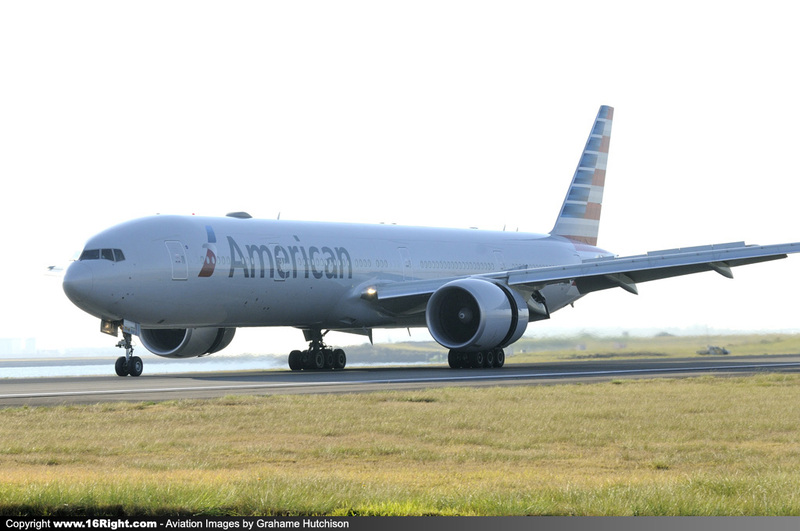 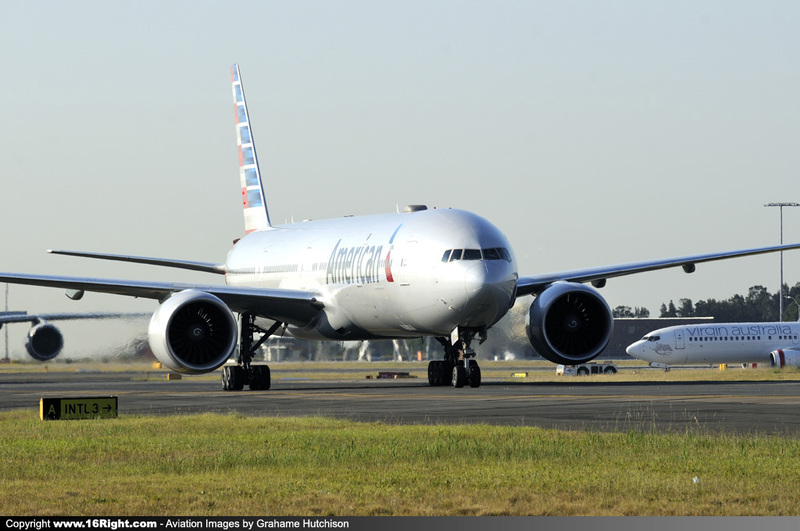 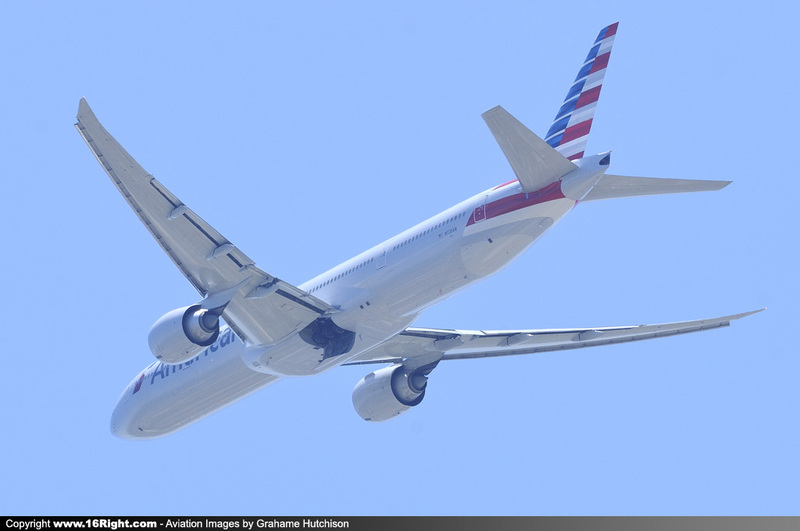 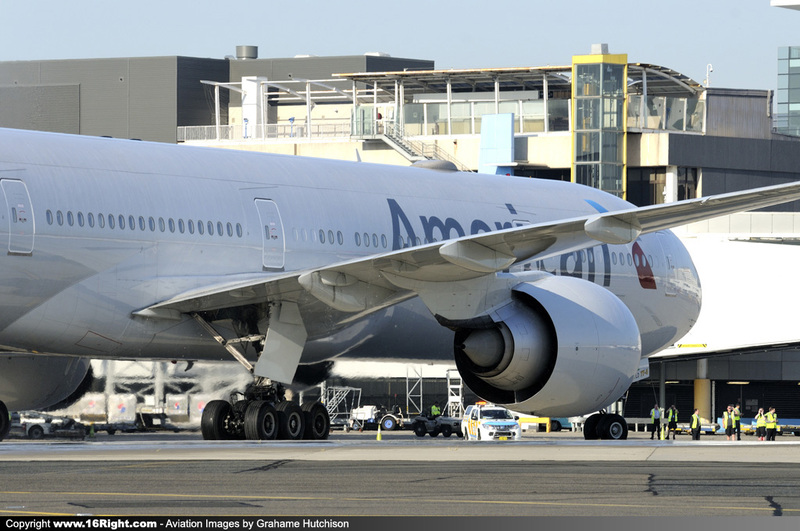 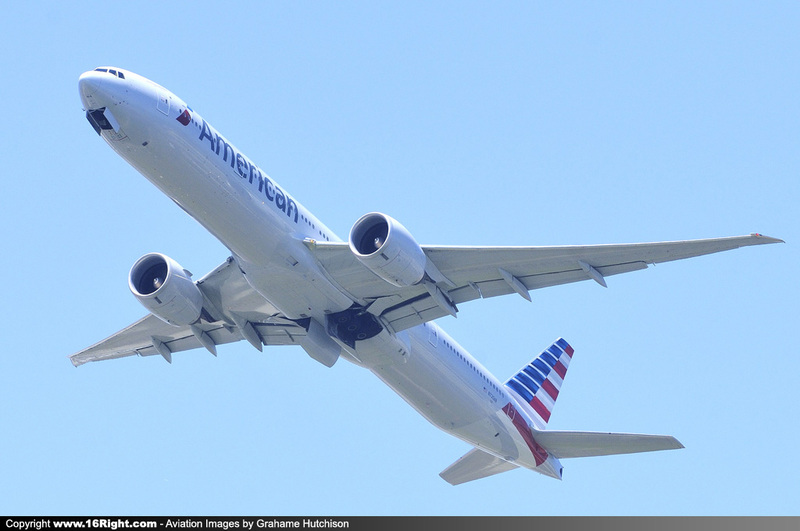 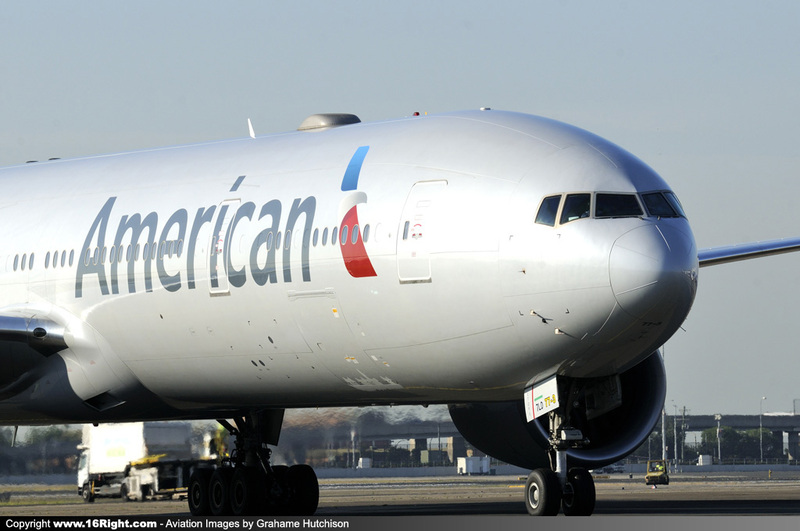 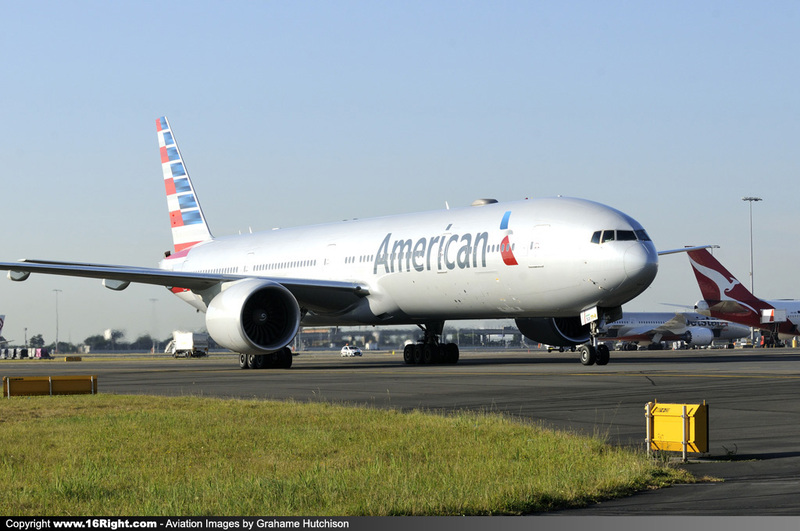 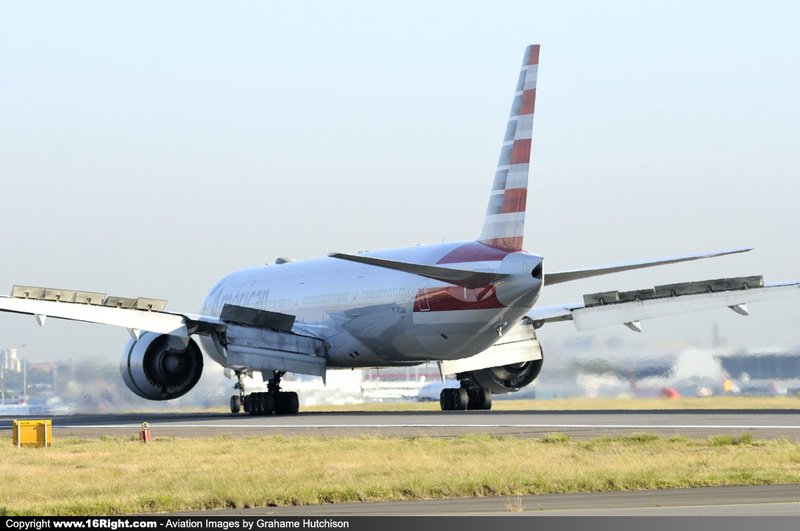 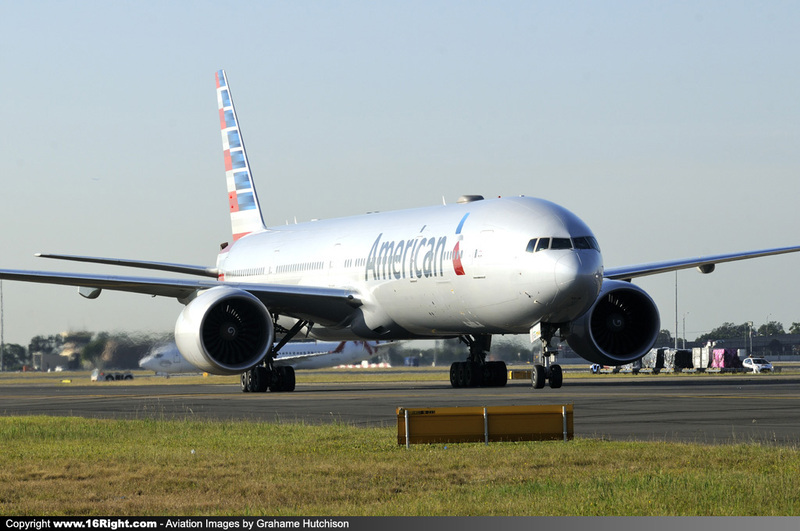 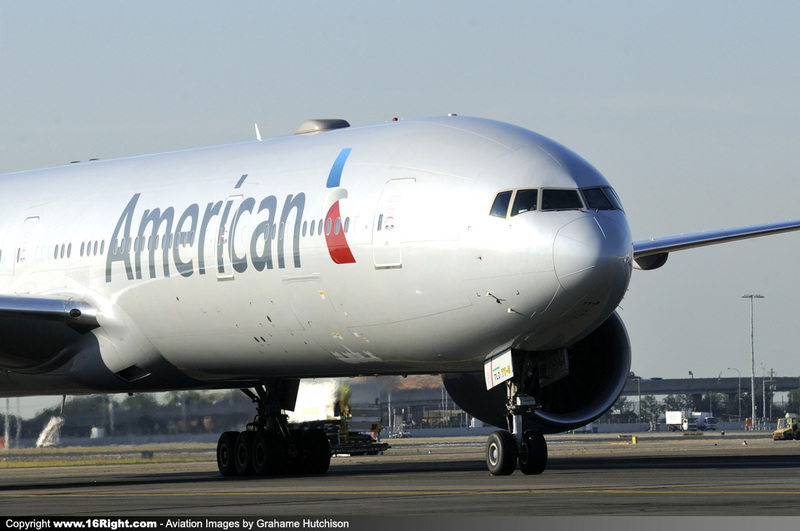 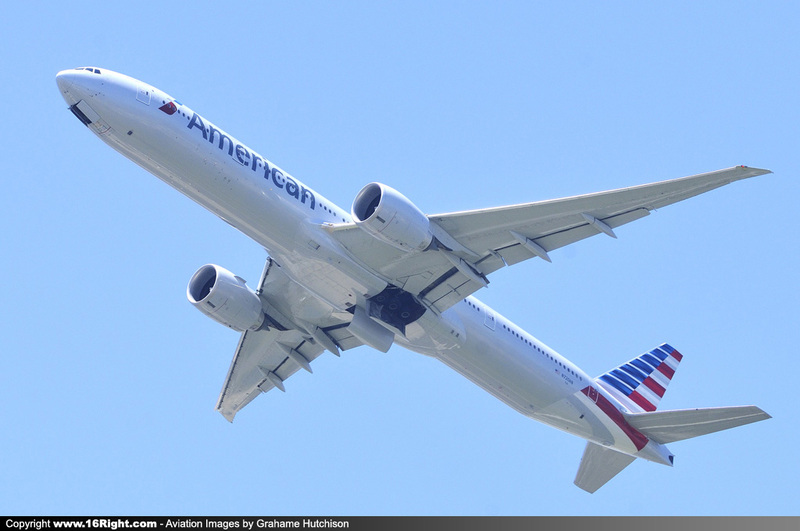 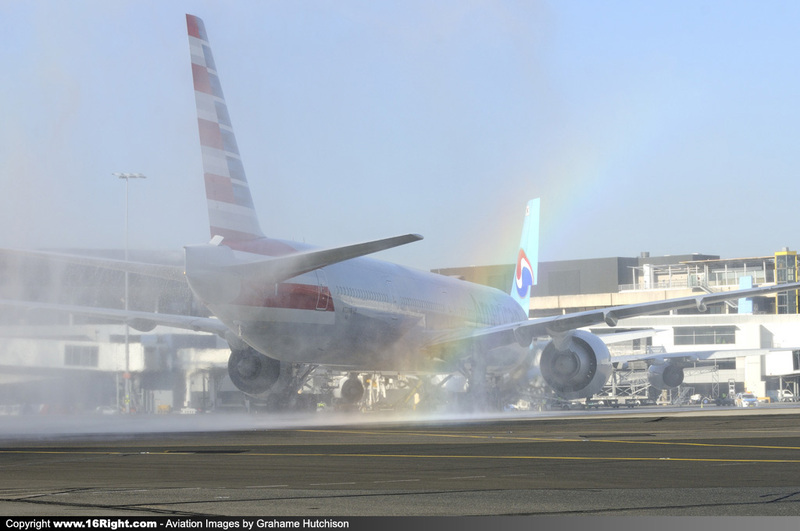 American Airlines conducted a Promotional Tour of their Flagship B777 product back on the 13th November, when the two week old B777-300ER N734AR flew in from Hong Kong to showcase the new product offering. 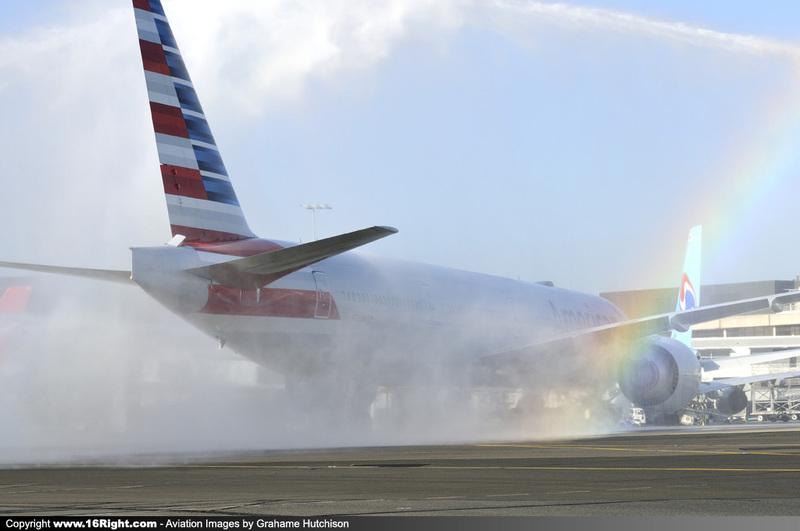 This morning's arrival was welcomed with a Water Cannon salute by Sydney Airport ARFF Tenders 2 and 6, and there was a beautiful bonus rainbow in the water spray. 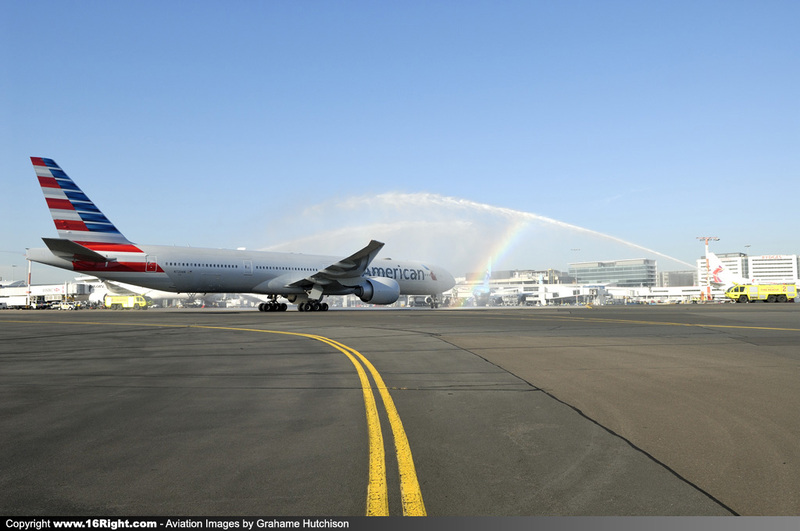 Sydney Airport CEO Kerrie Mather said, "We're thrilled to officially welcome the world's largest airline, American Airlines, to Sydney Airport and Australia. 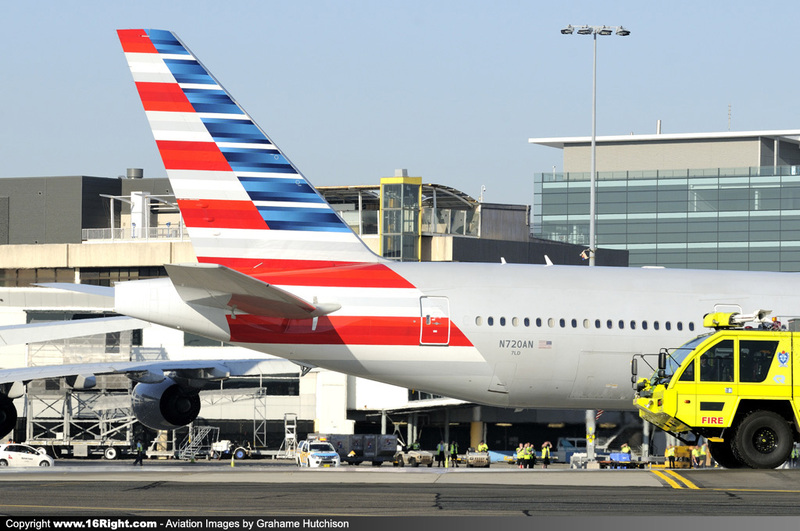 The US is Sydneysiders’ favourite international destination, and this new airline will provide travellers with more choice, convenience and connections to destinations in the US, Mexico, the Caribbean and Latin America. 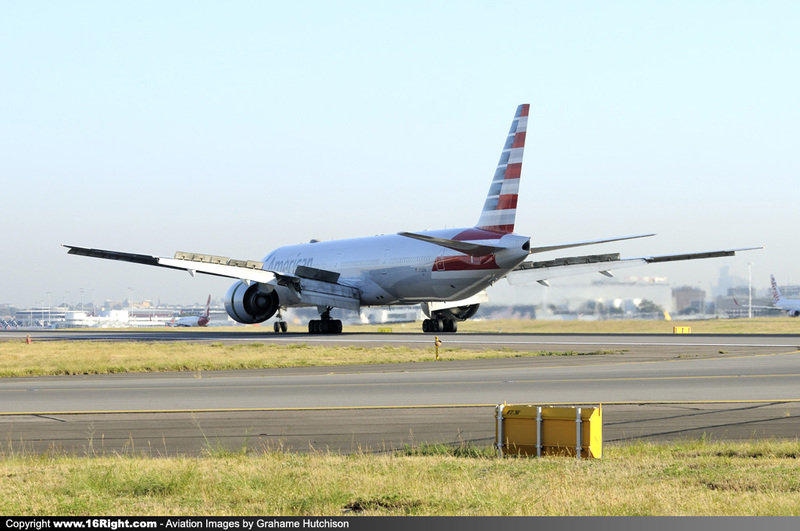 The US is also Sydney’s third largest inbound visitor market. 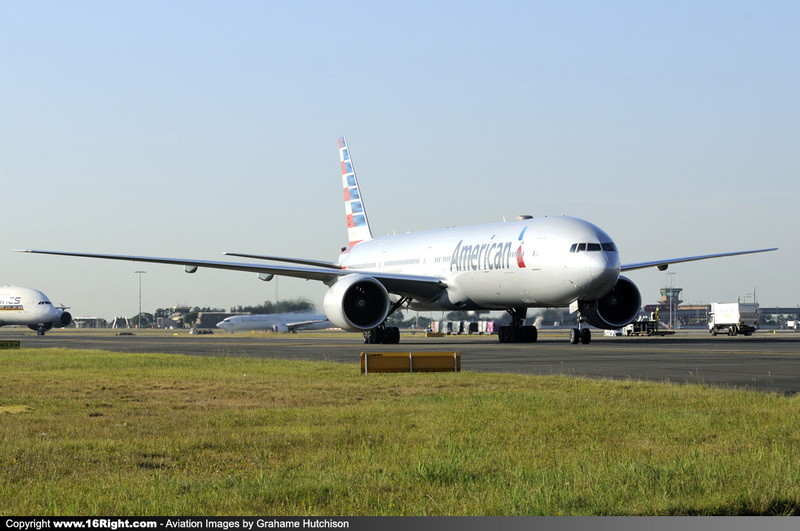 American Airlines’ new service is set to further grow tourism to Sydney, NSW and Australia, bringing an additional 41,000 US visitors to Sydney and boosting annual visitor expenditure by an estimated $65 million". 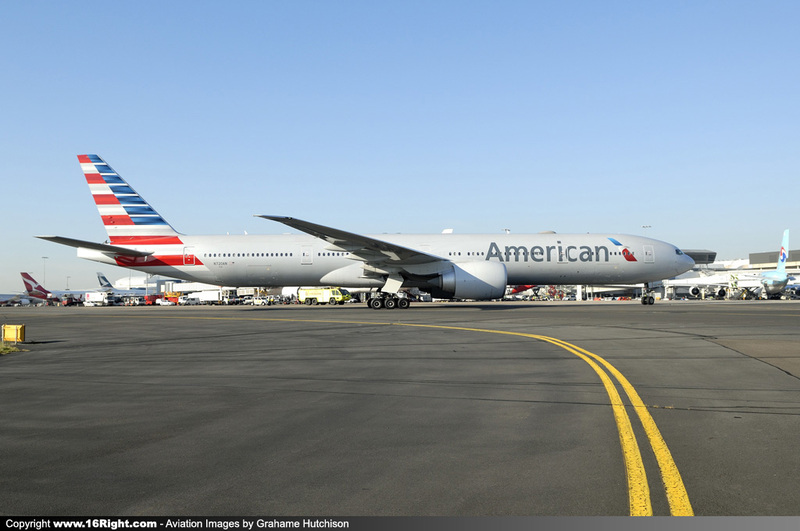 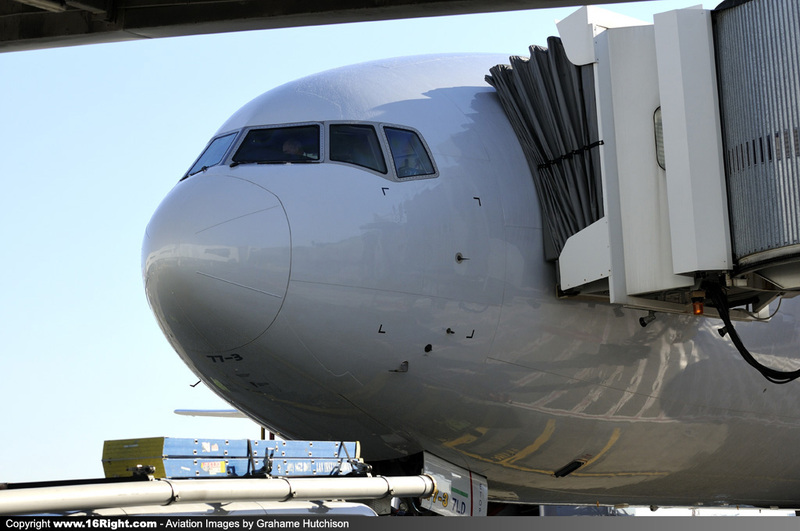 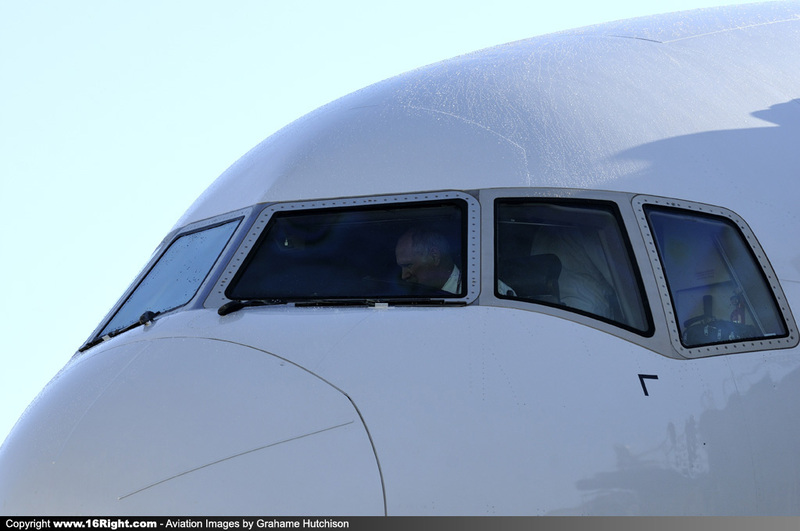 American Airlines Senior Vice President for International and Cargo Art Torno said, “From today, Australian customers have increased choice of flights to the US, with both American and our joint business partner Qantas, who have excellent onboard products and networks”. 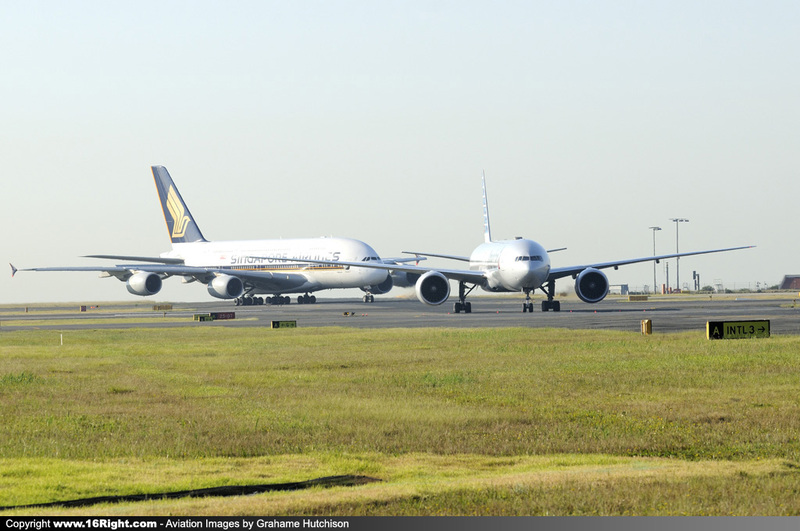 Minister for Trade, Tourism and Major Events Stuart Ayres welcomed the service and said the NSW Government is committed to working with airlines from the US and Australia to increase visitation to Sydney and NSW. 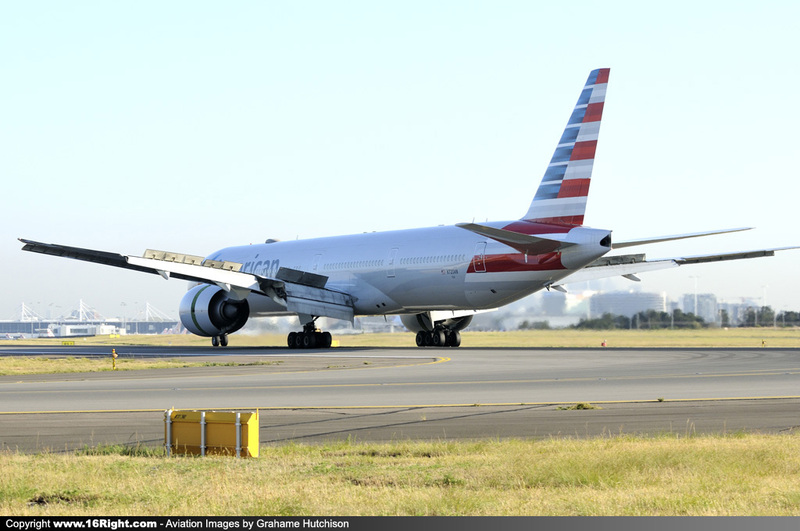 “Through our tourism and major events agency Destination NSW, we look forward to working with American Airlines and the opportunity to showcase our beautiful city, award-winning restaurants, stunning beaches and surrounding NSW regions to even more visitors from the US,” Mr Ayres said. 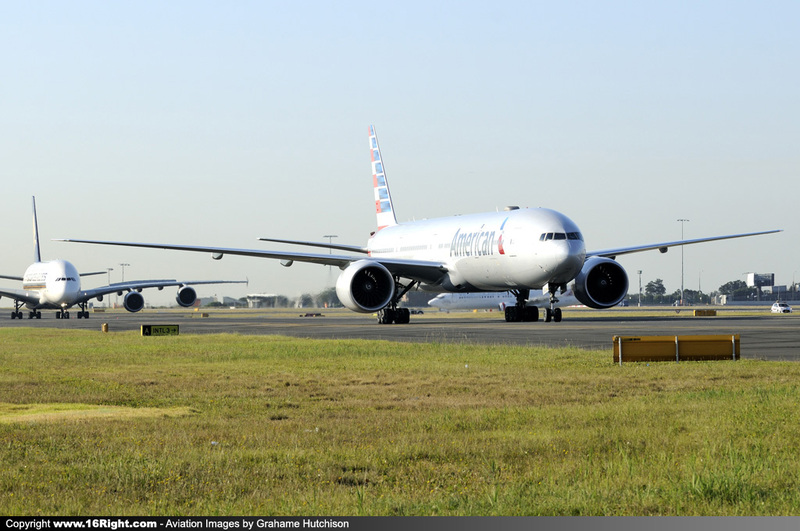 Tourism Australia Managing Director John O’Sullivan said, "The decision by American Airlines to add Australia to its international network was great news for the tourism industry and US/Australia tourism more broadly. 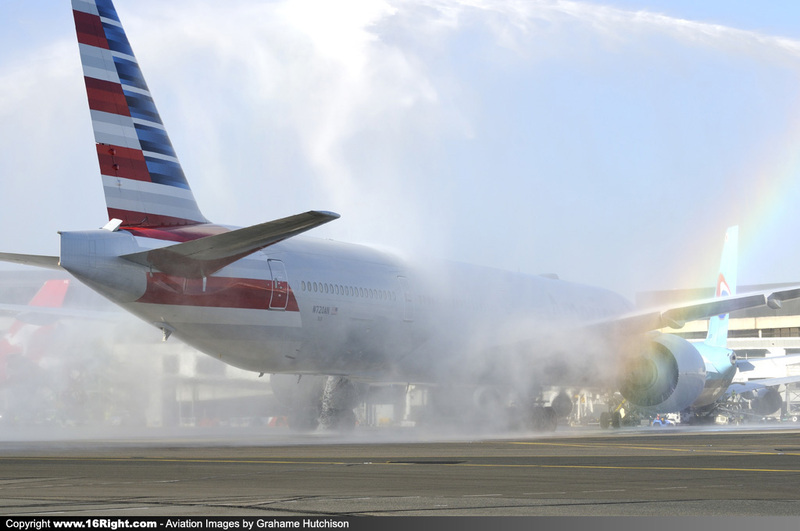 The United States is one of our largest volume and highest spending markets, with more than half a million American visitors pumping more than three billion tourism dollars into our economy each year. 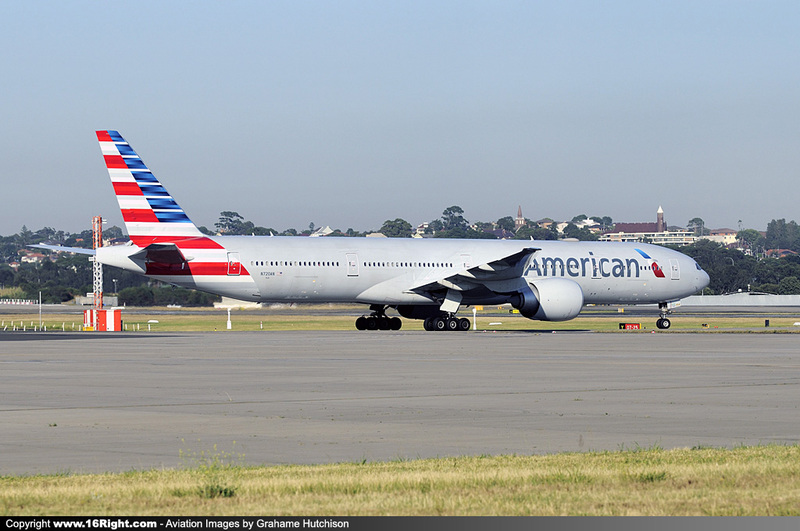 American Airlines obviously has a huge footprint within the United States and also significant marketing resources which, when combined together, will significantly improve access and awareness of Australia amongst many millions of American holidaymakers and business travellers”.